See No Evil Remake Announced via Screen Gems | Nerd Much? 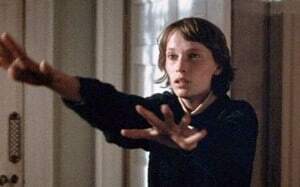 Screen Gems is developing a See No Evil remake based on the original 1971 horror movie that focused on a woman who returns to her home after being blinded in an accident, only to find the bodies of her murdered family and a killer in the house. According to Deadline, the script is being written by Mike Scannell, whose only horror writing credit includes the upcoming He’s Out There movie (also one of Screen Gems’). The film is being produced by Unbroken Pictures’ Bryan Bertino and Adrienne Biddle. There is, of course no word on any stars or director attached to the project, as the script is still being penned. The original See No Evil was considered a psychological thriller, and it starred Mia Farrow (The Omen, Rosemary’s Baby) as the young blind woman. The original film was set in the English countryside, and we can’t imagine a reason that the See No Evil remake wouldn’t be set there as well. We’d be interested to see what kind of budget Screen Gems will throw at this remake, but it certainly has the potential to bring some scares to a new generation of movie-goers. Stay tuned to Nerd Much for updates on the See No Evil reboot as we get them. You can also check out our round-up of all of the upcoming horror movies of 2016. Follow us on Twitter and give us virtual high fives on Facebook for updates.